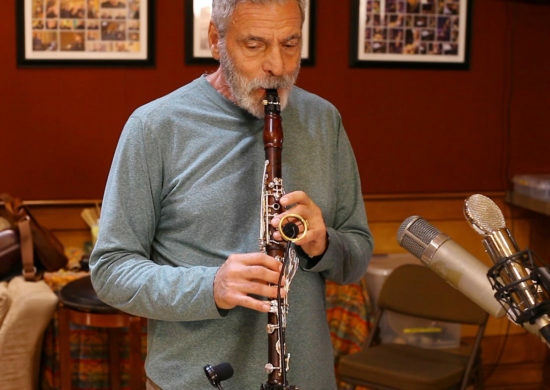 On a Monday night in the spring of 1967, a brilliant young woodwind player was on the bandstand at the Village Vanguard when he was struck with the sudden inspiration to take a solo on clarinet—even though he was expected to play tenor saxophone. The soloist was Eddie Daniels and the ensemble was the Thad Jones/Mel Lewis Orchestra, in the early days of its residency at the legendary New York jazz club. The critics at DownBeat were also taken with the solo, giving Daniels the New Star on Clarinet award in 1968 solely on the strength of those 32 bars of exuberant inside-outside lines, as memorialized on the 1967 Thad Jones/Mel Lewis album Live at the Village Vanguard. But it wasn’t until the 1980s that Daniels shifted his focus almost entirely to the clarinet, where it has since remained. At 76, Daniels isn’t just one of the great jazz clarinetists but also a classical virtuoso, celebrated as much for his astonishing technique as for the expressiveness of his playing in both worlds. A first-rate sideman in a variety of genres, he’s worked with Freddie Hubbard, Billy Joel, and Bucky Pizzarelli, among many others. He’s had classical works written for him—Daniel Schnyder’s MATRIX 21, a concerto for clarinet and orchestra, for instance—and some of his own compositions appear on his long string of albums as a leader. Daniels’ most recent album, Heart of Brazil: A Tribute to Egberto Gismonti (Resonance), reflects his longstanding love of Brazilian music. Last June, Daniels was in San Francisco, where he was playing an SF Jazz tribute concert to Benny Goodman with Anat Cohen—the young Israeli-American clarinet phenomenon who’s clearly influenced by Daniels—and Gordon Goodwin’s Big Phat Band. When I visited Daniels at his hotel the morning of the concert to chat about his long career in music, he seemed warm and vigorous, a young septuagenarian. “So you want to know where I come from and where I am?” he said, settling into a chair. Daniels began playing clarinet at 13, not so much because he was drawn to the instrument but because woodwind teachers encouraged their students to play multiple instruments, in the interest of becoming competitive as professional musicians. “Eventually you’d be in a big band, and you would have to play the clarinet parts. And you’d also have to play the flute,” he added, explaining that he spent a good period in the woodshed with each of these instruments. Daniels made a handful of albums as a leader in the ’60s and ’70s. He was playing clarinet all but exclusively by the time he recorded 1986’s aptly named Breakthrough—an album of Bach (J.S. and C.P.E.) transcriptions and pop-jazz tunes, along with Jorge Calandrelli’s Concerto for Jazz Clarinet and Orchestra—which displays his breathtaking technical facility as well as the jazz-and-classical duality he’s long explored. In the three decades since, he’s recorded regularly under his own name, primarily on clarinet.